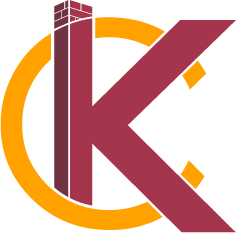 What to Expect | KC's Improvement & Construction Co., Inc. What to Expect | KC's Improvement & Construction Co., Inc. 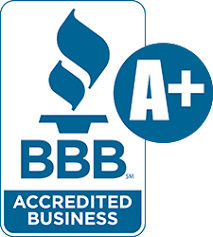 Thank you so much for contacting us at KC’s Improvement & Construction Co for your remodeling and renovation needs. We like to set up expectations for our Clients prior to arrival. This helps ease fears and gives our Clients a firm understanding of what to expect when you work with KC’s Improvement & Construction Co. from the very beginning. Please take a few minutes and review the links and resources that we have provided to you! We look forward to meeting you! What do you like or dislike about your present home? What is the project you are considering? Why are you considering this project now? What do you hope to gain from this project? Present and future needs? Is your style contemporary, traditional, or somewhere in between? It’s a good idea to have pictures from magazines or elsewhere to help convey the look or details you are after. What is your target investment? (We’ll need to have a frank and honest discussion of how much you want to invest in your home; only you can tell us that. We can only estimate how much your project will cost.) How will you finance the project – refinance or cash? At our Initial Meeting we will also discuss KC’s Improvement & Construction Co.’s unique, customer focused remodeling process. Our process aligns your needs, timetables and budgets to fulfill your vision. We look forward to our meeting and learning more about you and your project! Hundreds of clients before you have been happy they went the KC’s Improvement & Construction Co. way! You should except your estimate within 5-7 business days. In an effort to expedite your initial estimate, we start off providing our Clients with a preliminary estimate to help establish a working budget and ensure we are in line with what you are considering investing. The initial estimate will include a rough scope of work along with an estimated project total. Unless you otherwise specify during our estimate appointment, we will start of pricing mid-level materials and fixtures. Gives you a point of reference regarding materials we intend to furnish for your project. Once you have received the preliminary estimate, please review the scope and ensure that we have included everything in our initial discussion and address any concerns or questions you may have. We will follow-up with you, within a few days of your preliminary estimate being sent, in order to discuss the preliminary budget numbers and the scope of work to ensure we are quoting exactly what you are envisioning and that the budget numbers are in line with what you intend on investing in your project. Please understand, at this point in our process, the estimate will be a general scope of work, based on our initial discussions and our professional guidance. The specific details will be provided once we have established an appropriate budget after our follow-up discussion. A design contract to develop a set of plans and/or to help us solidify the budget and specifications. At any time during this process, please feel free to reach out to us with questions or concerns. We are here to help guide you through this process, earn your trust and develop a long-term relationship with you.